Whether you are currently serving in the U.S. Armed Forces, are retired, or have no exposure whatsoever to the Army ROTC, you’re probably here because your son or daughter is interested in Army ROTC at IUPUI. We’re glad you’re here. First, by virtue of choosing the program, your son or daughter has many affordable options for higher education. Through Congressional-allocated funds, the Army ROTC program includes financial incentives and scholarships, based on a variety of eligibility options. Some competitive awards pay tuition, books, and provide a living allowance. Your child also has the opportunity to choose his or her field of study, delivered by a nationally ranked, award-winning urban institution—IUPUI. Located within walking distance of downtown Indianapolis, IUPUI has 18 schools granting degrees in health and life sciences, liberal arts, engineering, and more. Finally, your son or daughter will participate in one of the country’s top leadership courses. Our program transforms your child into a capable, self-sufficient adult who can successfully lead others, influence decisions, motivate people, and achieve success. Your child pursues his or her chosen academic major and takes military science courses as electives. The courses appear on their transcripts just as any other courses and involve lectures, labs, experiential learning, and a physical fitness component. Students (we call them cadets) are encouraged to participate in student activities on campus and to be engaged with the Indianapolis community. ROTC involvement does not prevent student athlete participation in IUPUI athletics. In terms of obligation to join: Young adults who receive merit-based ROTC scholarships, or those who enroll in ROTC Advanced Course (junior and senior year), must serve eight years in the military. Typically, those are split between four years in Active Army and four years in Individual Ready Reserves. Enrolling in the ROTC Basic Course (freshman and sophomore years), however, does not obligate someone to serve unless they receive an ROTC scholarship. Prefer a different university’s academic options? Your son or daughter may enroll in the IUPUI ROTC program while attending Franklin College, Butler University, University of Indianapolis, Marian University, and Ivy Tech Community College. Who works with your college student? Like other ROTC programs across the nation, our IUPUI leadership team (we refer to them as our cadre) is comprised of experienced military staff. Cadre members foster learning with the goal of graduating your child with an advantage over his or her non-ROTC graduating peers. What’s the advantage? Unparalleled leadership abilities, elevating your son or daughter above the competition in his or her future career. Your child will receive structured opportunities to develop leadership qualities during the first two years of the program. Then, he or she will put those skills into practice as juniors and seniors, leading their younger counterparts under the skilled supervision of the cadre. They graduate with confidence, distinction, sound decision-making abilities, skills to influence and lead others, and savvy to get things done. IUPUI ROTC’s leaders are determined to ensure your student succeeds in becoming first to lead, second to none. What happens when coursework is complete? Students who complete only the Basic Course can apply their leadership skills to any field. They have no obligation to join, unless they receive an ROTC scholarship. Cadets who complete Advanced Course receive a commission as a Second Lieutenant with the Army, Army Reserves, or Army National Guard. During their eight years of service, they may begin to prepare for life-long military careers. Or, they may choose to complete their obligation and move forward into a non-military profession. Within the Army itself, commissioned officers serve in many ways including aviation, engineering, intelligence, and more. Specialized careers such as physicians, nurses, chaplains, lawyers, and Special Forces provide your son or daughter with viable career options in the Army, Army Reserves, and Army National Guard. 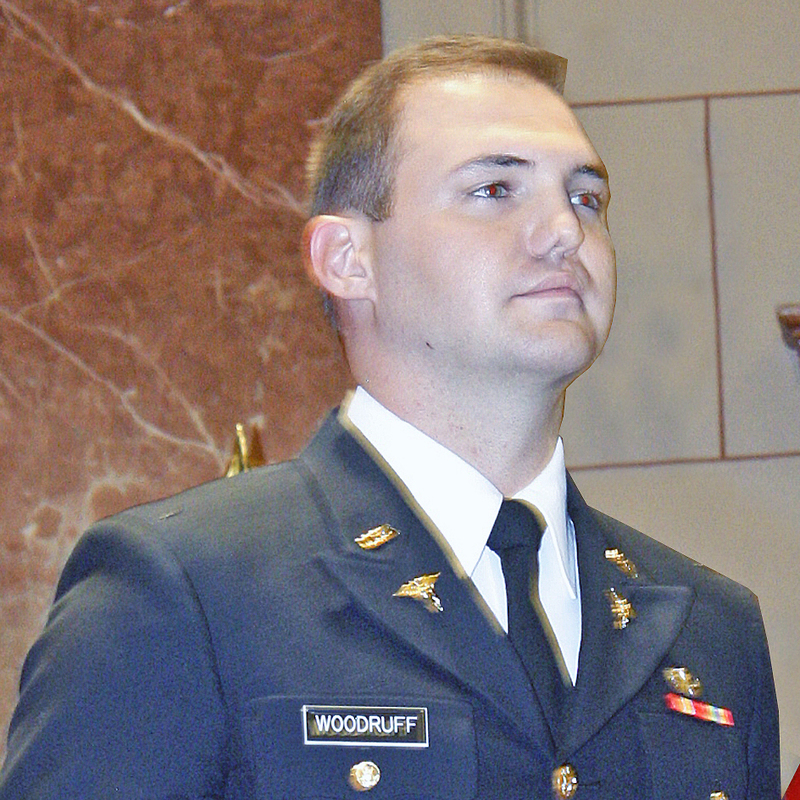 My ROTC courses prepared me to succeed and lead in a fast-paced, critical care environment. No matter what career path you desire, the courses provide a foundation in recognizing and implementing leadership skills and values.